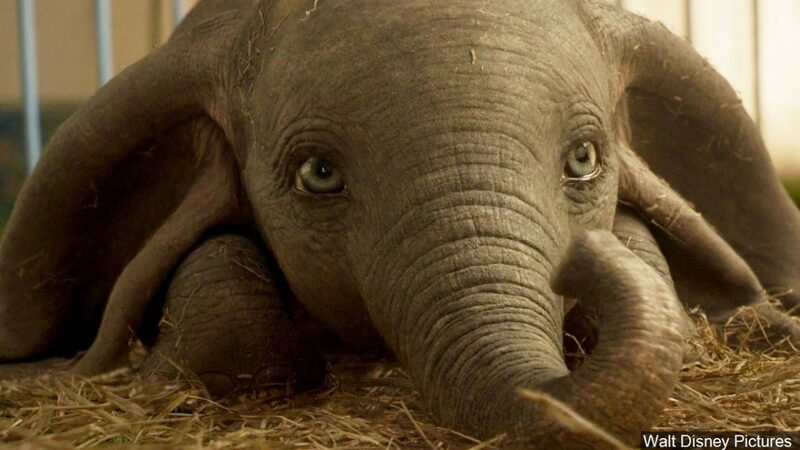 You thought you knew all there was to know about Disney’s new Dumbo movie, soaring into Australian cinemas on 28 March. After all, you’ve seen the original how many times? But Tim Burton’s re-imagining of this classic Disney story about embracing our uniqueness has all the ingenious wonder and surprise Burton is known for. The Dumbo production has its own larger-than-life tales of conquering fear, true love and finding your greatness. Here are six things you didn’t know about what went down on set. We’re suckers for on-screen romance and we get even more excited when the chemistry is there IRL. Miguel Munoz and Zenaida Alcalde are a real-life couple who portray Ivan the Wonderful and Catherine the Greater, a husband and wife team of illusionists who step in to take of care of Milly and Joe, the children of former circus start Holt Farrier (Colin Farrell), before their father returns from war. Munoz and Alcalde are actually Spanish performers, who perform together in physical theatre, trapeze and magic. Eva Green portrays aerialist Colette Marchant beautifully, despite her little secret – the wonderfully talented actor has a serious fear of heights! A professional aerialist worked with Green to build her confidence in the air and, in the end, Green conquered her fear to perform a lot of the choreography herself. After Disney’s Dumbo originally came out in 1941, it won an Oscar for Best Scoring of a Musical Picture and was nominated for Best Original Song with ‘Baby Mine’. So there were some pretty high expectations set for Sharon Rooney, who plays Miss Atlantis and sings the iconic song for the new film while playing a ukulele – an instrument she’d never played before. We can hear from the trailer that, despite the intense pressure, Rooney absolutely delivers with her performance of ‘Baby Mine’. And it only took her a week to learn to play the ukulele! She says ‘Baby Mine’ holds a very special place in her heart because her grandmother used to sing it to her when she was a child. Awww! A magnificently diverse circus troupe was assembled from all over the world to film Dumbo. Significant language barriers made it difficult for the performers to connect. Until they set up a Ping-Pong table! To play aerialist Colette, Eva Green had to display physical strength and finesse, as well as showmanship and grace. Personal trainer and aerialist Francesca Jaynes worked with Green to develop this balancing act of strength and elegance through ballet. Miss Atlantis’ costume is made from more than 100 overlapping scales, all hand stitched together in alternating rows of black and turquoise. Each scale was carefully constructed of about four layers of fabric with sequin borders to make each scale marvelously shiny and reflective. Oooh! Ahhh!